There are a lot more ways to spread good cheer in the new year but none so delicious as with a traditional, shareable starter like rich and unctuous pâté. But throw all of those diet plans aside since this dish qualifies as an indulgence worthy of a caloric splurge. From Cajun terrine to a luscious, flaky pâté en croûte, everything old is new again! 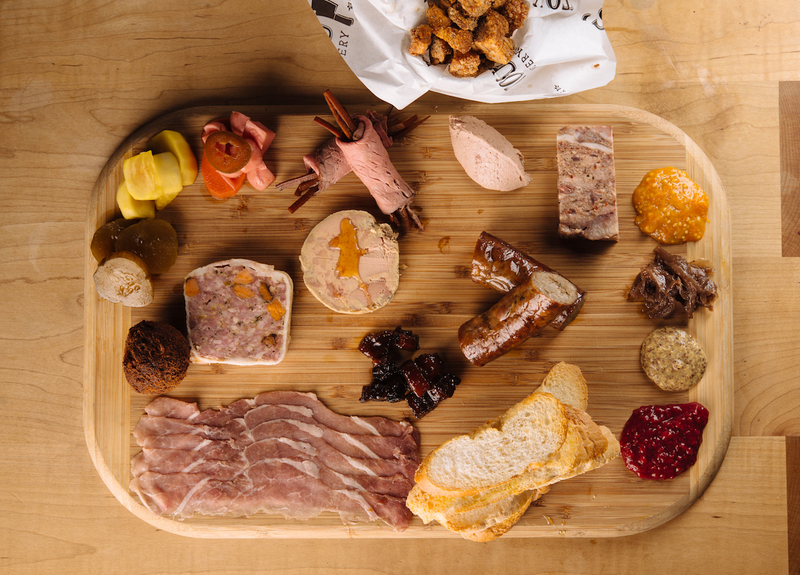 Pâté is twice as nice at this New Orleans hot spot, where four-time James Beard “Best Chef: South” semifinalist and Bravo TV’s Top Chef season 13 official fan favorite chef Isaac Toups plates the Meatery board, a smorgasbord of house-cured savories and accouterments. The board includes two Southern versions of pâté: one with hog’s head cheese, a traditional Cajun terrine of pork, and a daube glacé, a traditional beef terrine with Creole origins. Make a reservation at Toups Meatery. 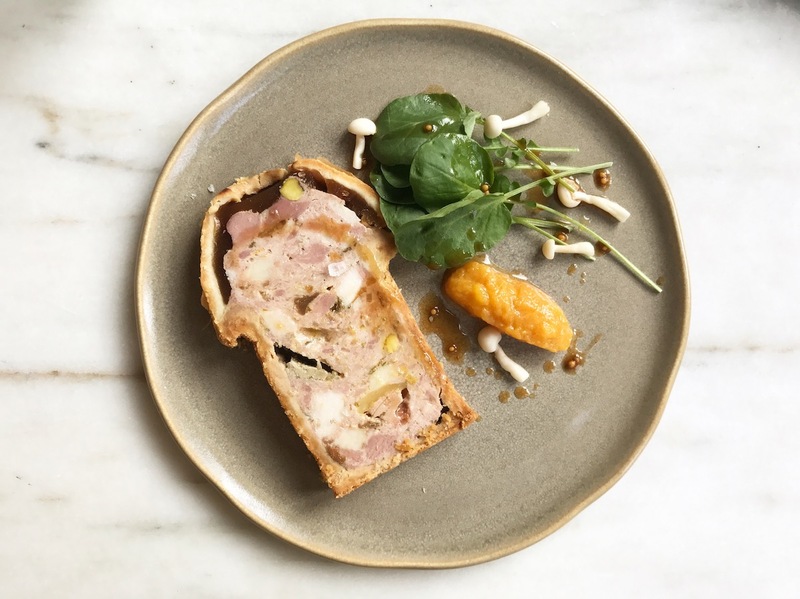 Southern France meets Southern California at Georgie, where classically trained executive chef Wilfrid Hocquet serves up a delicate pâté en croûte that is just as much a feast for the eyes as the stomach. It’s easy to imagine his quince compote, cornichon pickles, and jus vinaigrette being plated for the well-heeled in Monaco and Paris, where he previously tied the apron strings under his mentor, Alain Ducasse. Make a reservation at Georgie. Apparently, Nashville’s not only all about barbecue, with a fun twist that takes a French staple and brings it down-home. 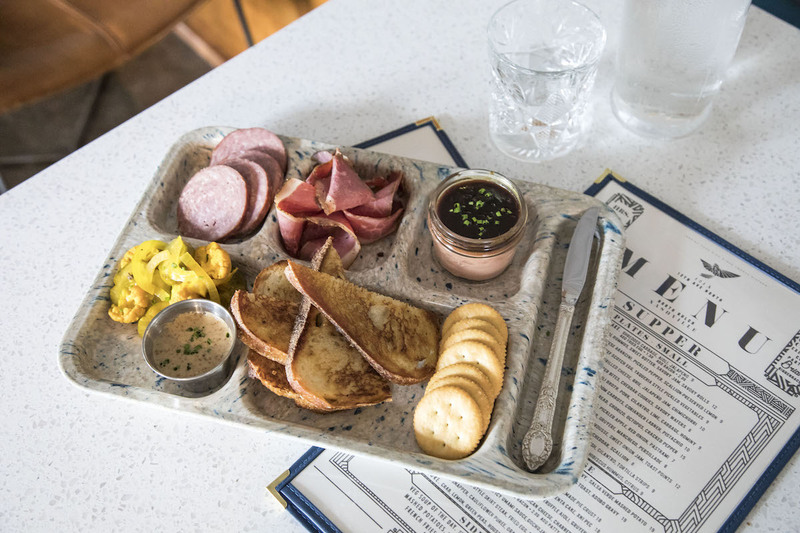 Mockingbird’s throwback appetizer is “tray” chic, with house-made summer sausage, chicken liver mousse, sweet onion jam and pastrami, all served on a throwback lunch tray. Make a reservation at The Mockingbird. For Donato’s two Italian chefs, Gianluca Guglielmi and Donato Scotti, who opened their restaurant just three months ago, their chicken liver vasetto is a throwback to their homeland in the traditional style of Piedmonte and Lombardia. 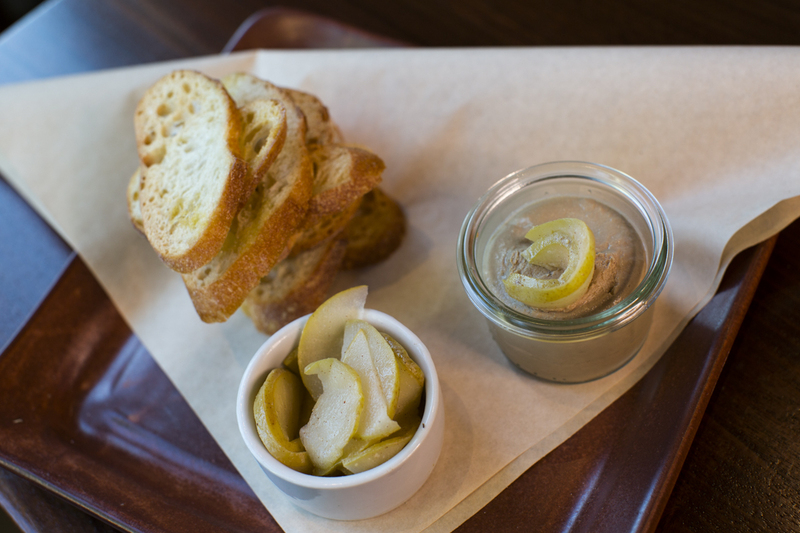 Housemade pâté with sauteed pears and crostini are braised with savory Marsala. Make a reservation at Donato & Co.
* French Restaurant Week NYC returns during Bastille Week. Celebrate with $17.89, $38, and $178.90 magnifique meals, July 3-10. Make a reservation. * San Jose Dine Downtown brings special prix-fixe, multi-course meals at special prices, July 7-16. Make a reservation. * Providence Restaurant Weeks has three-course $16.95 lunches and $29.95 + $34.95 dinners, July 9-22. Make a reservation. 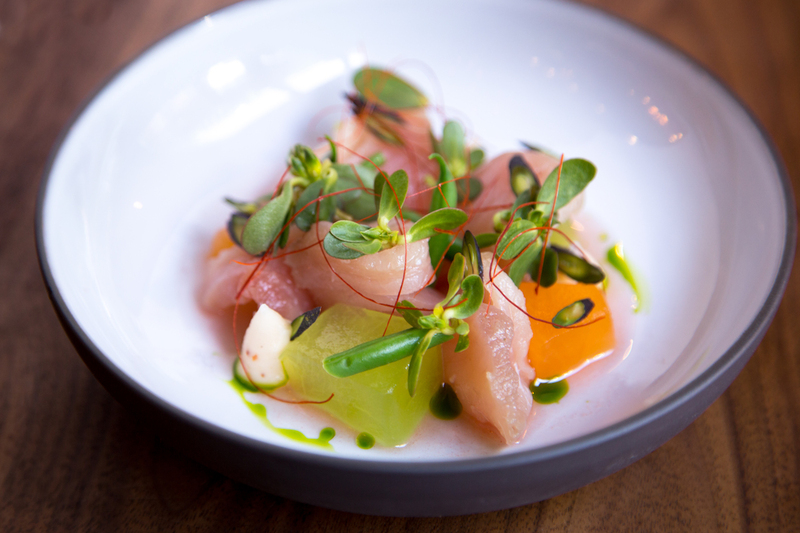 * Clayton Restaurant Week brings sublime dining at St. Louis eateries, with three-course $25 + $35 dinners, July 10-16. Make a reservation. * French Restaurant Week Chicago invites you to eat, drink, and be French with$17.89, $38, and $178.90 experiences, July 10-23. Make a reservation. * University City Dining Days offers budget-friendly deals with $15, $25 + $35 dinners, July 13-23. Make a reservation. * dineLA has seven ways to save with $15, $20 + $25 lunches and $29, $39, $49 + $95+ dinners, July 14-28. Make a reservation. Every major holiday comes with its own menu. The main ingredient for Passover is matzoh, an unleavened bread that symbolizes the Israelites’ exodus from Egypt — one so rushed that there was no time left to wait for dough to rise. Today, Jews around the world commemorate their liberation from slavery with a Seder, a ceremonial dinner for the first two nights of Passover. It is “one of the most popular Jewish events of the year,” says award-winning journalist and Jewish Channel news anchor Steven I. Weiss. “The Seder has a participation rate approaching 90% in New York.” With that figure in mind, it’s no wonder the city’s restaurants have turned to providing traditional, innovative, and eclectic Seder offerings, from elegant multi-course meals to bento-box-style Seder essentials to go. 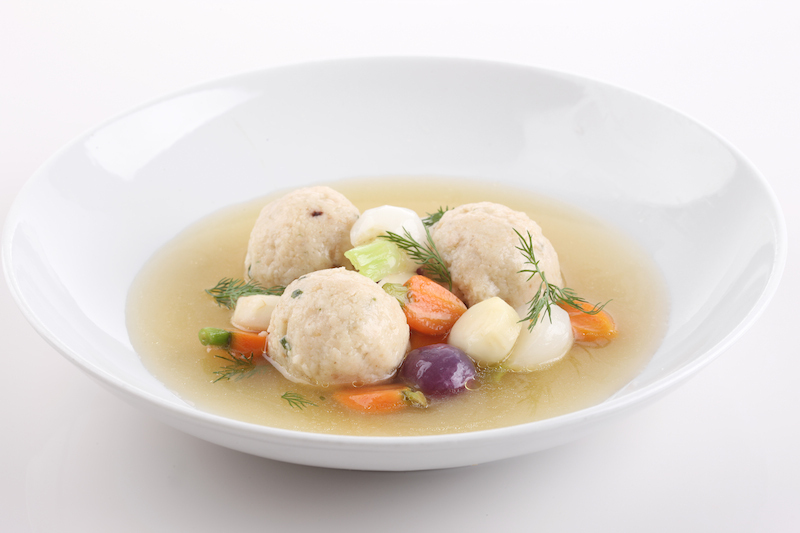 Check out these events and celebrations for Passover dining in New York City. L’chaim! What makes these nights different from all other nights at Georgette Farkas’s fashionable French-infused rotisserie? An à la carte Seder menu, available April 22 and 23, that goes beyond the brisket and includes such signature whole roasts as Faroe Island Salmon and Jamison Farm Leg of Lamb. 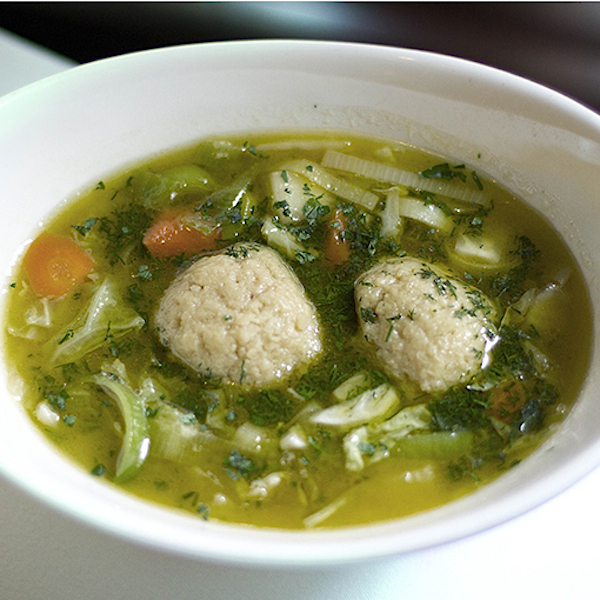 Loyal patrons of this Upper East Side favorite will find much to adore this Passover. 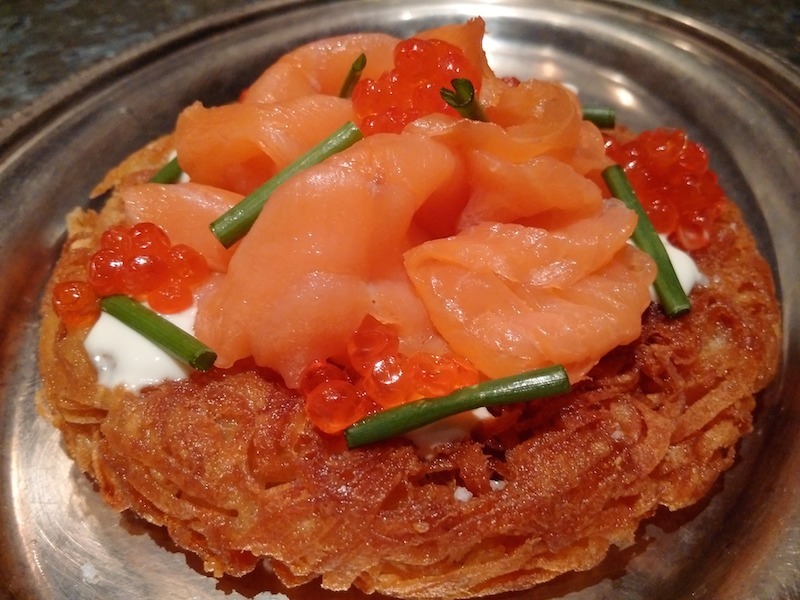 Of the Crispy Potato Pancakes with Smoked Salmon at Rôtisserie Georgette, owner Farkas says, “This dish is inspired by my mother. Like her potato pancakes, ours are thin, crisp, light, and lacy. We top them with a bit of a super smooth and silky smoked salmon and serve them with herbed crème fraîche on the side.‎” Make a Passover reservation at Rotisserie Georgette. The name of this gem of a restaurant in Nolita is the Yiddish term for “the perfect housewife, homemaker, and hostess.” But, as any Jewish mother worth her (kosher) salt knows, preparing the perfect Passover meal is anything but easy. For those who want to skip the tsuris but still enjoy a home-style Seder, look no further than Balaboosta’s 5th Annual Passover event on Sunday, April 24 at 6:30PM, hosted by Einat Admony (also of Taïm—and Taïm truck!—fame) and Ilan Hall (Top Chef winner and host of Esquire Network’s Knife Fight). Live music is also on the menu and guests will receive a mini jar of chef Admony’s homemade harissa.Email info@balaboostanyc.com for information on kids’ tickets. Make a Passover reservation at Balaboosta. For more than a decade and counting, chef Bill Telepan’s eponymous Upper West Side eatery — a pioneer in Greenmarket cuisine —offers a four-course menu (for kids, too) that features creative twists on traditional Seder fare (a dried-fruit chutney-apple salad for the haroset is just one example). On April 22 and 23, diners can expect a spirited atmosphere, a helpful wait staff, and Telepan himself (a true mensch if there ever was one) when Seders are in session. “Extra seating for Elijah is available upon request,” Telepan says. Make a Passover reservation at Telepan. Their use of the Unorthodox Hagaddah says it all: Expect an evening of delicious secular delights — including live music and comedy—at this year’s Seder, hosted by one of the city’s best-loved delis on Saturday, April 23. NOTE: The meal is not kosher — which, for many of the event’s participants (Jewish and non- alike), only adds to the irreverent fun. A portion of the proceeds goes to benefit Share Our Strength’s No Kid Hungry initiative, which is a mitzvah in and of itself. 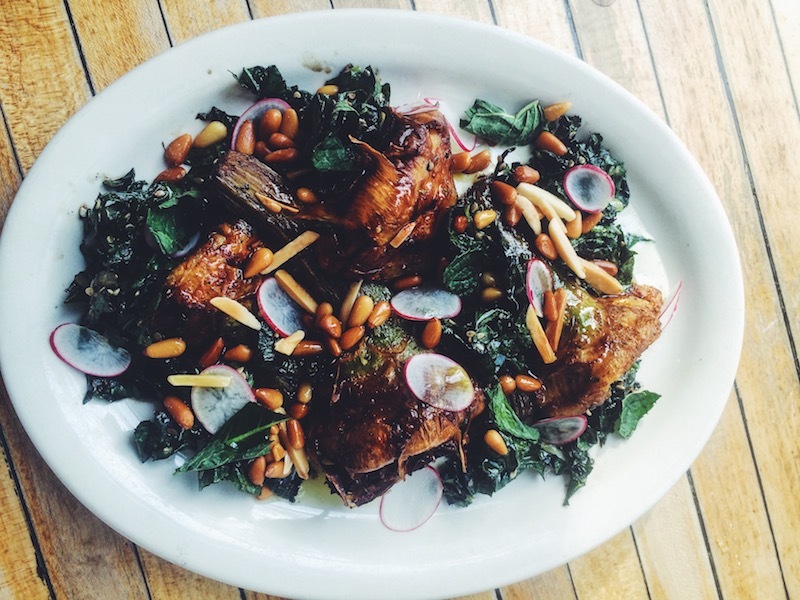 Make a Passover reservation at Mile End Delicatessen. 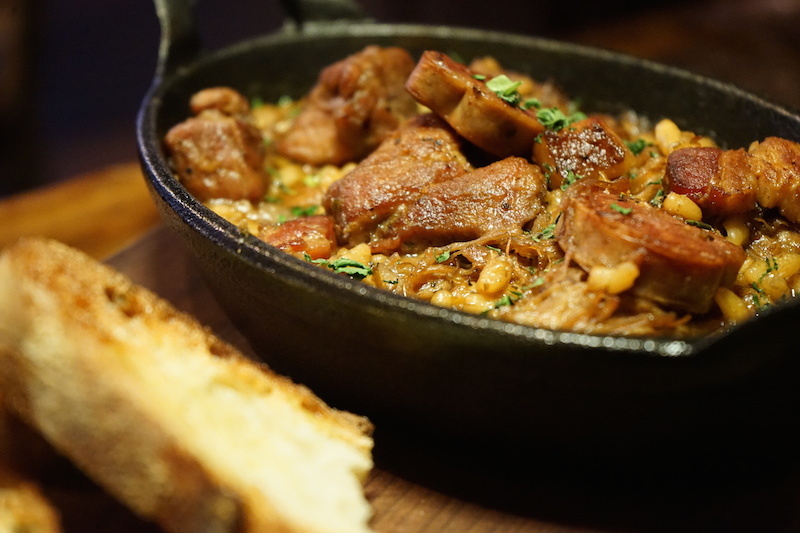 You know what we love about cassoulet? EVERYTHING. You know why? Because the delicious French dish comes in so many forms. There are the classic cassoulets from Carcassone, Castelnaudary, and Toulouse — and dozens of variations created by inventive chefs around the globe. (Pro tip: If you’re in a particular region in France, don’t say which you think is the one cassoulet to rule them all — you’re sure to get into quite a row if your answer hails from another location). So revered is it that, according to Saveur, there is even “a gastronomic brotherhood devoted to that epic French dish” known as the Grande Confrérie du Cassoulet de Castelnaudary. While we may not boast such an organization in the U.S., we do have National Cassoulet Day. And, many restaurants are extending the savory celebration. Instated by Alain Ducasse’s bistro Benoit in New York City, this year, more than 30 of the country’s top restaurants will honor the hearty French winter classic all week long. From January 9–15, Benoit and participating restaurants, ranging from French restaurants, steakhouses, and farm-to-table New American concepts to Italian and even vegan eateries, will offer their own interpretations of cassoulet. Benoit will prepare a special three-course Cassoulet Experience. To start, guests can expect a selection of hors d’oeuvres including celery root and red cabbage remoulade and for dessert, a Vacherin with pineapple and vanilla. The full list of restaurants can be found here. Dozens of other restaurants are participating unofficially or merely serving this dish because they (as we) are crazy for cassoulet. 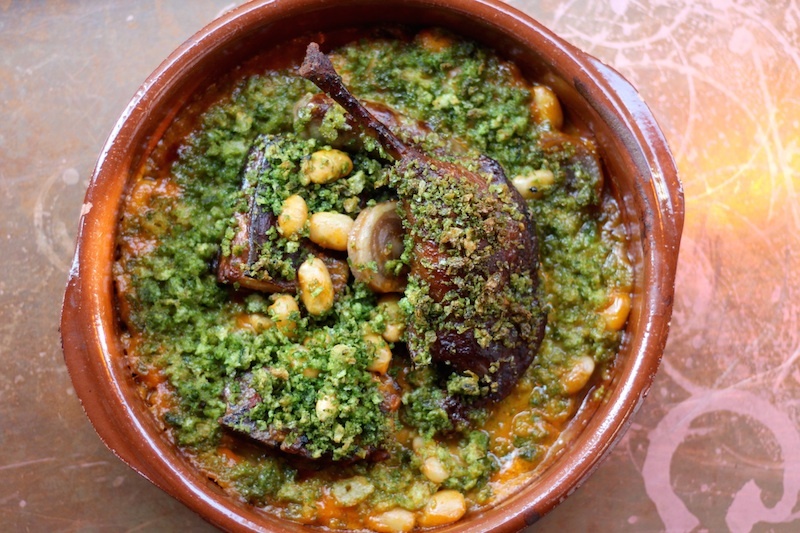 Below are a few of our faves to inspire you to celebrate National Cassoulet Day today. 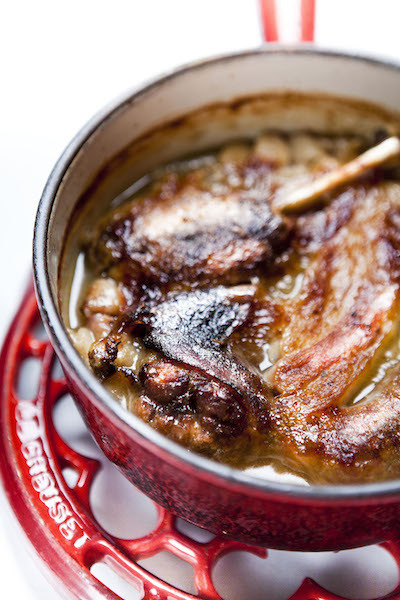 Chef and U.S. Cassoulet Ambassador, from the Universal Cassoulet Academy in Carcassone, Philippe Bertineau’s iconic one-pot meal of white beans, pork, and duck is served in its traditional cooking vessel, the cassole. Make a reservation at Benoit Restaurant and Bar. Throughout his career Chef Hogan worked with the some of the finest French chef’s – including Chef Jean Joho – and even spent time studying the culinary arts in France. These experiences have shaped a deep love of traditional French cuisine. He is a master of charcuterie, which he incorporates in all of the elements of this dish — from the duck confit to the pork sausage. 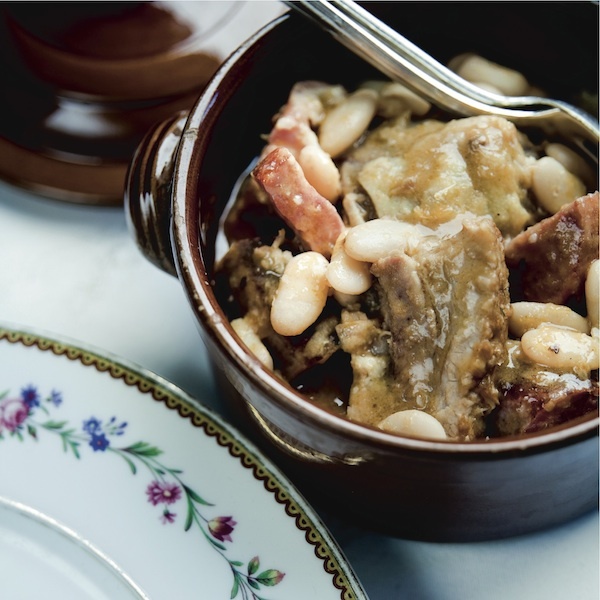 Combining all of these elements allows him to make a truly traditional French cassoulet which also includes pork shoulder, white beans, white wine, garlic, and smoked bacon. Make a reservation at River Roast. 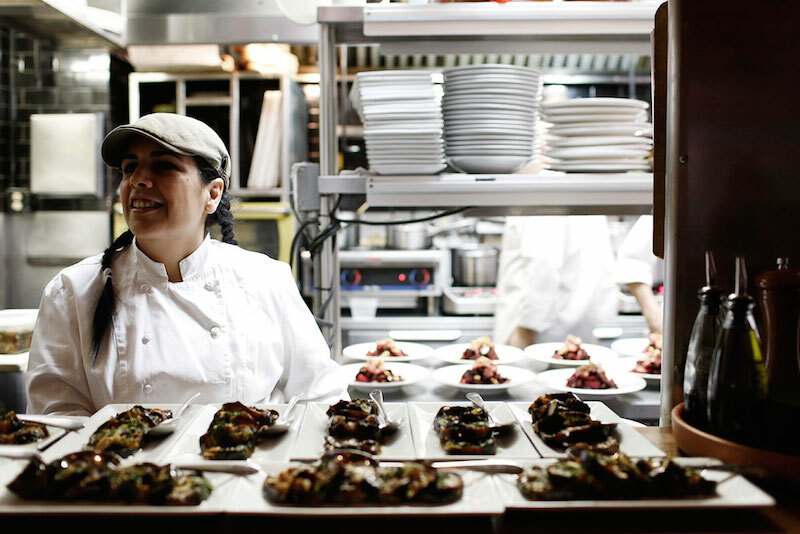 April Bloomfield and her Christina Lecki executive chef at The Breslin Bar & Dining Room are participating in Cassoulet Week, serving their take on Cassoulet for Two: Duck confit, Toulouse sausage, and lamb belly, ayocote beans, and herbed bread crumbs for $65. Make a reservation at The Breslin Bar & Dining Room.